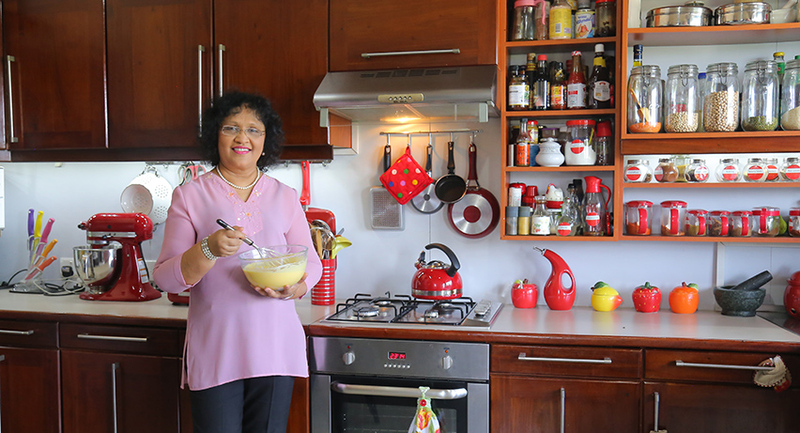 Anoma’s Kitchen is a Lankan YouTube culinary sensation. 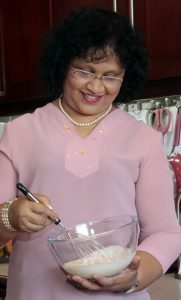 With over 190,000 subscribers and each video amassing thousands of views, the channel is growing at an extraordinary rate for a Sinhala language Sri Lankan style cookery show. Despite the language choice limiting the channel’s audience significantly, Anoma’s Kitchen hasn’t suffered too much of a detriment considering they employ English subtitles and the format simply works better in Sinhala considering it’s the show host’s mother tongue and the theme of the show is all about family, heritage, and sharing it with the next generation. 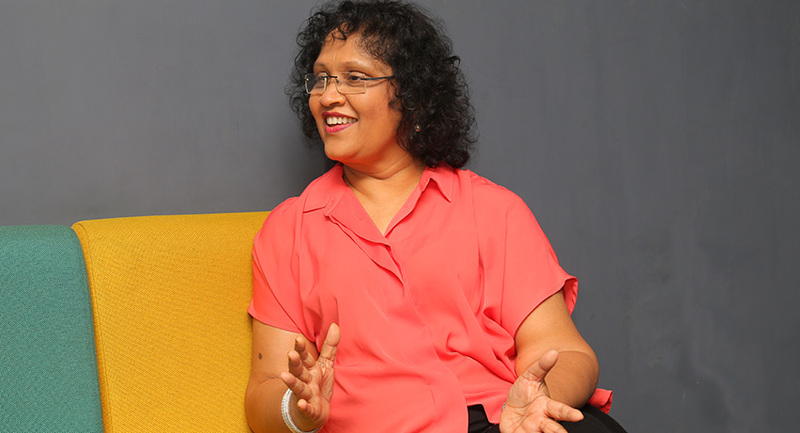 Anoma has come to be a popular character in many a Lankan household, within the island and also abroad for her soft spoken ways, lack of agenda, and her unbridled joy in sharing her knowledge with a rather large audience. We sat down with the star of the show for a quick chat and to learn from her success – we put together 10 lessons to take away from Anoma’s success story, the rise to YouTube stardom, and internet fame. Anoma, a culinary enthusiast, started her channel after having the idea planted in her after a proposal made to her by a friend about doing her own cooking show for television. Despite her initial rejection the idea intrigued her enough that she decided to see how it would be like if she were to do it and so she tried it. “I spoke to myself in the mirror in a presenter like fashion but I felt awkward doing it and I wasn’t satisfied with the outcome,” she said. 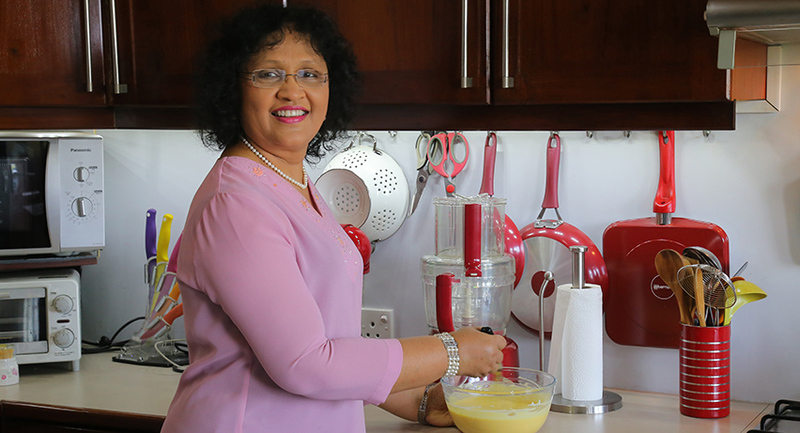 Finally, during the time her daughter had come down from abroad she decided one day to simply go for it and filmed her first video- the coconut sambol video on her iPhone with available light, and that was the beginning of Anoma’s Kitchen. This really goes to show that all you must really overcome are your own anxieties. Anoma also enjoys keeping her kitchen looking a certain way and as her interest grew, her family caught on and supplied her with various knick knacks they’ve collected in their travels which has contributed to her overarching theme of the red-coloured table tops. This interest in maintaining an attractive kitchen, coupled with her love for family and togetherness is what gave way to her series Anoma’s Kitchen Tips that is tips Tuesday, which you can be sure to catch every Tuesday on her channel. “When I started, it was me and my iPhone; but now I have the help of my husband who is a constant behind the camera,” says Anoma. However, to this day Anoma edits her own videos on iMovie. She plans, preps, and writes out her videos, does the research, and then upon filming puts everything together all by herself. Every Anoma’s Kitchen video is scheduled for 9 a.m., and there are three videos at the very least going up every single week. Anoma said that cooking has become a pastime at best and even still, people are reluctant to spend time in the kitchen. There are takeout options and delivery services such as UberEats making it so that people no longer cook, let alone enjoy it. “I feel that as mothers it is our duty to encourage our children to enjoy simple pleasures in life – like cooking. We encourage our children to study and succeed in academics but rarely persuade them to pursue other activities that are necessary to enrich you,” she said. “I am proud to say that my daughter has come up to me and said that she is grateful to have had a great childhood associated with food. She says to me that she is glad she is able to associate so much sentiment and good memories to meals she’s had, specially the excitement she felt when opening her lunchbox at school looking forward to what’s been packed,” Anoma said. Addressing her audience as “duwala, puthala”, Anoma’s main objective is to encourage the younger generation to learn these things, and thereby encourage them to share it with their children. She also hopes to provide some easy meal prep ideas for those who go to work in the morning, to encourage them to take a homemade meal as opposed to buying something from outside. Anoma is all about family and togetherness. She believes that food can bring people together, it can unite us, and it plays an important role in holding families together and strengthening familial bonds. Anoma and her husband are avid travellers and you can be sure to see some of their travel vlogs on her channel as well. Tasting and experiencing foreign delicacies and recreating them is one of her favourite things and she said that in the past she would purchase as many cookery books as possible when she went abroad. However, now with the internet things are a lot easier. Anoma also shared with us a most adorable story of how her husband absolutely loves the snow and cold climates, and for their 30th anniversary they were able to travel to Switzerland where they enjoyed a fantastic trip complete with snowy Kodak moments, most of which she has shared with her viewers in the hopes that they too will be inspired to spend more time with their family and cherish these moments they are given. 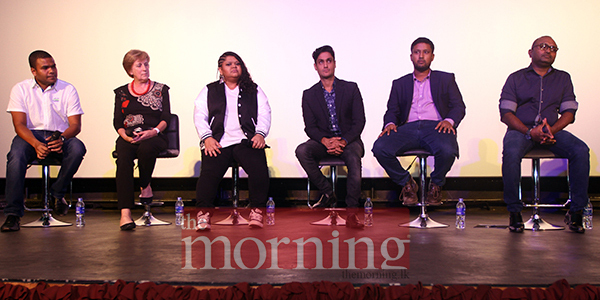 When Anoma first started, she says that there weren’t a lot of people doing videos in Sinhala, and that at the time the opinion was that it’s simply just better and more practical to do it in English. Anoma’s Kitchen had a brief stint as a television show. However, having completed 250 episodes and at the height of its demand, Anoma chose to leave the show as she felt that it wasn’t for her at the time and the schedule provided that she was unable to spend time with her family which defeats her entire purpose. Anoma says, “now that my children are older and are looking to leave home, I feel that since I have been so attentive it would be a shame if I am suddenly busy during their last few days in the country”. Following the New Year however, and when she feels ready, Anoma is set to launch her own TV show once again. If you love something and have a passion for it, then you have no excuse not to pursue it. Danceworld is a school of modern, jazz, and ballet situated in Colombo, dedicated to inculcating the passion of dance in young girls in the island.